The sad, sorry, sordid saga of Amy Winehouse was, until July 23, 2011, a cause comique for many people. There was a website, When Will Amy Winehouse Die, that though her descent into personal chaos was hilarious, and they offered a free iPod to whomever came the closest to pinpointing the exact time when Miss Winehouse would expire. In other words, there was a group of people that delighted so much in the unraveling of a person that they were willing to offer prizes for whomever got her death date right. Sadly, this is reflective of our society that has so devalued human life that seeing a person disintegrate before our eyes only brings derision rather than pity. While people taking guesses about someone's death I fear is something that will stay with us for as long as humanity continues, the people who benefited financially from Miss Winehouse are the ones who should question themselves. I point to her final performance, what was billed as her 'comeback' tour in Europe. First stop: Belgrade, Serbia. In this YouTube Age, nothing remains hidden (I personally think this is a double-edged sword, but I digress). Her performance was nothing short of painful. She was thoroughly out of it: unaware of the lyrics to her own songs, stumbling on the stage, truly unaware of what was going on, even slightly bored and frustrated. When Back To Black was being played, she clearly didn't know the words to her own song. Granted, this can happen to a performer: I think of Frank Sinatra, but the major difference was that Sinatra was already past his prime and plagued by old age when this happened. Winehouse was not yet thirty. In the footage, it's clear that SHE was following her backup singers to know the words rather than the other way around. It is painful to watch because it is sad to see someone with a great deal of talent make a mess before a large group. As I watched it, I cringed. The woman was not in her right state of mind and she certainly was in no condition to appear publicly, let alone attempt to perform before a paying audience. Granted, we don't know what transpired before she took the stage, but one does wonder why her handlers allowed her to go on when she was not coherent or in full control of herself. Perhaps she just so bullied those around her that it was easier to just relent and let her go on, though no one could possibly have been pleased at the end results. It might have been that they opted to just let her go out and hope that she could rise to the occasion. It would have, however, been far better to have cancelled the show, give everyone their money back, and frankly lock the woman up for her own good. Instead people around her and around the world slowly and with a mixture of laughter and sorry saw a healthy and happy-looking woman devolve into a rail-thin, snarling, multi-tattooed wreck. The people around her, to be fair, could only do so much without having to take the issue to court. No amount of intervention can stop someone who refuses to not just get help but to maintain sobriety. It is tempting to call Amy Winehouse a cautionary tale, but we have too many cautionary tales already. It, to my mind, is a puzzle why musicians in particular can get involved with drugs and still expect things to be different. Too many people, some with true talent, have self-destructed due to drugs and alcohol, despite all the warnings, all the knowledge, all the previous performers who have gone down the same road. We have Jimi Hendrix and Janis Joplin through Jim Morrison on down to Kurt Cobain and Sublime's Bradley Nowell to serve as cautionary tales. With the possible exception of Morrison and the self-inflicted gunshot by Cobain, all were drug-related (though granted, Cobain were also into drugs before his death). In short, we don't need more 'cautionary tales'. We need to stop insisting that drugs are necessary to the creative process, stop believing that whatever physical pleasure one may derive from drugs trumps the physical harm they do, and moreover, stop coddling performers by allowing them to get their own way. It looks like the consensus on Amy Winehouse is "sad but not unexpected". At the moment of this writing the cause of death is still officially listed as 'unexplained'. Whatever the results of the autopsy, it doesn't take away from the sheer sadness of it all: a woman with an especially strong voice who could have gone on to more and better things has now died at a young age. 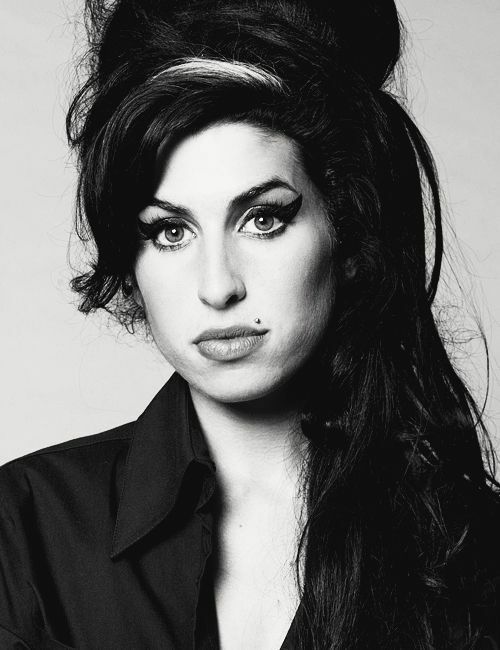 Without an Amy Winehouse there probably would not be an Adele (who has avoided the pitfalls Winehouse fell head-first into and we hope she stays that way). The whole thing I figure could have been avoided if the people around her had intervened more, and Winehouse had pushed herself out of whatever Dark Night of the Soul she appeared to live permanently in. Then perhaps, in retrospect there could be only so much that could be done by her and her circle. In the end, it will be her music, brief though it was, that will live on. The circumstances of her life and death will be a part of her sad legacy, but I hope that we learn some lessons from Amy Winehouse's death. At the top of it, that people stop cheerleading someone's death.